The sudden deep freeze comes from what’s called the polar vortex, a strong river of wind that traps cold air over the north pole. WBGO’s Ang Santos with more. 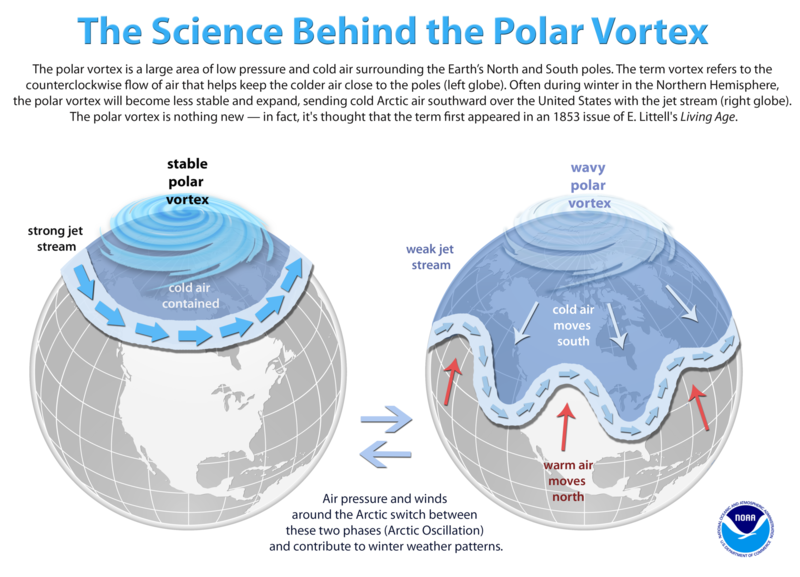 Polar Vortex explained. Scientist Jennifer Francis with the Woods Hole Research Center in Massachusetts says the term has been misused in recent years. The piercing low temperatures come from an arctic air mass that drips down into North America. Francis says a polar vortex split has been relatively rare but occurs more frequently in recent years. Research so far has pointed to climate change, a warm airmass that travels to the North Pole as a result of melting sea ice in Russia. It’s likely it won’t happen again this year, but Francis says it’s not impossible.